The new cap on state and local tax deductions has homeowners across the country rushing to pay their 2018 property taxes before December 31. The deduction, known as SALT, will be limited to $10,000 a year under the new tax plan, which was signed by President Trump before Christmas. Currently, the deduction unlimited. You can deduct everything you pay in property taxes, as well as income taxes, from your federal tax return. While paying your 2018 income taxes before the end of the year isn't an option anymore, pre-paying your property taxes may be -- at least for some people. The scramble to pre-pay property taxes has created a lot of confusion. 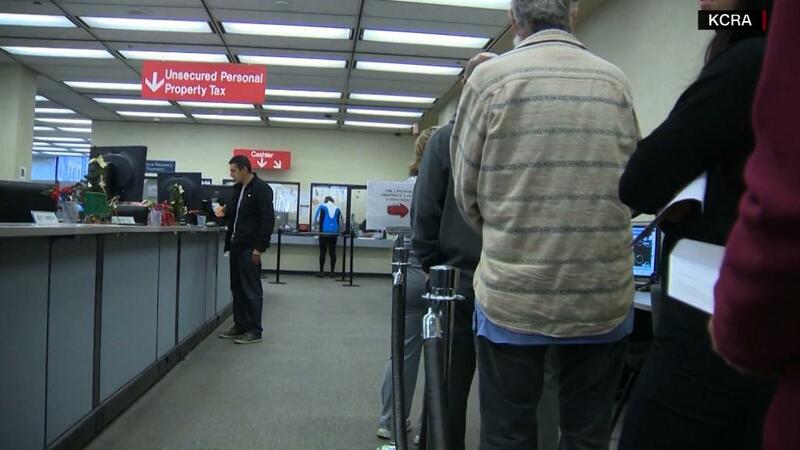 CNNMoney heard from more than 100 readers who attempted to pre-pay their property taxes this week. Many had questions about how they could pre-pay and what, exactly, they'd be able to deduct. Can I pre-pay my entire 2018 property tax bill and deduct it from my 2017 taxes? The short answer is, probably not. But you might be able to pre-pay a portion of your 2018 taxes and write those off on your 2017 tax return to be filed before April. It depends on whether your local tax authority has previously assessed what your tax bill would be in 2018, according to IRS guidance issued late Wednesday afternoon. "Estimating your property tax liability isn't enough. The property tax must be billed too," wrote an economist at the Tax Foundation. Some towns may not allow you to pre-pay the portion of your tax liability that hasn't been billed yet anyway. But other places were allowing residents to estimate their total bill and pre-pay all of it. Even if that's the case, that doesn't mean you'll be able to deduct it. The IRS makes the final determination. What if I already prepaid the entire year's tax bill? One reader in Virginia told CNNMoney he estimated the entire year's liability and sent a check to the department of taxation last week -- before the IRS said the tax had to have been assessed during 2017 to be deductible. Now, he feels like he prepaid for nothing. He might miss having the cash on hand. But otherwise there's little harm in paying early, said James Guarino, a CFP at MFA -- Moody, Famiglietti & Andronico. Guarino also said it "could be a gray area" what exactly the IRS will consider a completed assessment. "I don't think it's pushing the envelope all that much to pay fiscal 2018 taxes now, even if you don't have the final bill," Guarino said. But, he would stop short of pre-paying taxes beyond 2018, for future years, which he considers "totally inconsistent with the IRS announcement." Is it worth it to go through the trouble of pre-paying my property taxes? 1.You have enough money saved. 2. You usually itemize your taxes. 3. You usually pay more than $10,000 in overall state and local taxes. 4. You are not subject to the Alternative Minimum Tax, which limits what you can deduct. Why can my sister/friend/coworker who lives in another town pre-pay, but I can't? Tax collection varies widely from city to city, even within the same state. In New York, some towns are collecting taxes due in January and February now, but won't accept those usually billed later in the year. Taxpayers in some states -- like Oregon, Washington and Wisconsin -- generally aren't allowed to pre-pay their property taxes. What if I pay my taxes from an escrow account? For many homeowners, their property taxes are paid from an escrow account associated with their mortgage. If that's the case, first try to contact your lender to see if they can pre-pay your taxes directly before year-end. This is ideal because you know the payment will be on-record as paid in 2017 and you won't have to bring the payment to city hall yourself, said Guarino. A Wells Fargo spokesman said that the bank would "make every effort" to make pre-payments at the request of the customer -- if a final tax bill has been received. There are eight states where tax bills or installments are due in January or February that could be pre-paid now, he said. Another option is to pre-pay yourself, but make sure to inform your bank. Many readers told CNNMoney they pre-paid the bill directly to the town out of their own pocket and intend to notify their mortgage lender later to make sure they don't pay again. One man said he pre-paid online and emailed the receipt to his lender, which already confirmed that his monthly mortgage payment would be adjusted as soon as next month. A Bank of America spokeswoman said it accepted requests for early payments to be made by year-end only until December 26. The best option for taxpayers at this point, she said, is to make a direct payment to the taxing authority and then contact the bank so it does not issue a duplicate payment. Can I just send in a check? Since time is running out, that would be a gamble. The IRS has said the payment must be made in 2017. It's best to bring a check to the local tax office yourself and receive a dated receipt. Some offices are opening extra hours to accommodate the requests. Or check to see if you're allowed to make an online payment. Can I pre-pay my state income tax now and deduct it from my 2017 taxes? No. The new tax legislation only allows pre-paid property taxes to be deducted. It specifically stated that individuals could not pre-pay state and local income taxes, the Tax Foundation has said.